Still lingering around are large packages of lady fingers from when I had planned to make tiramisu. Also, hiding in the pantry was a food service size package of sugar-free cheesecake mix. Just a bit of cool whip was found in the freezer. A chocolate sauce was the only “new creation” that was needed. Fill the bottom of a large glass dish with a layer of (24) lady fingers. Spread 1/2 of the prepared cheesecake mix over them. 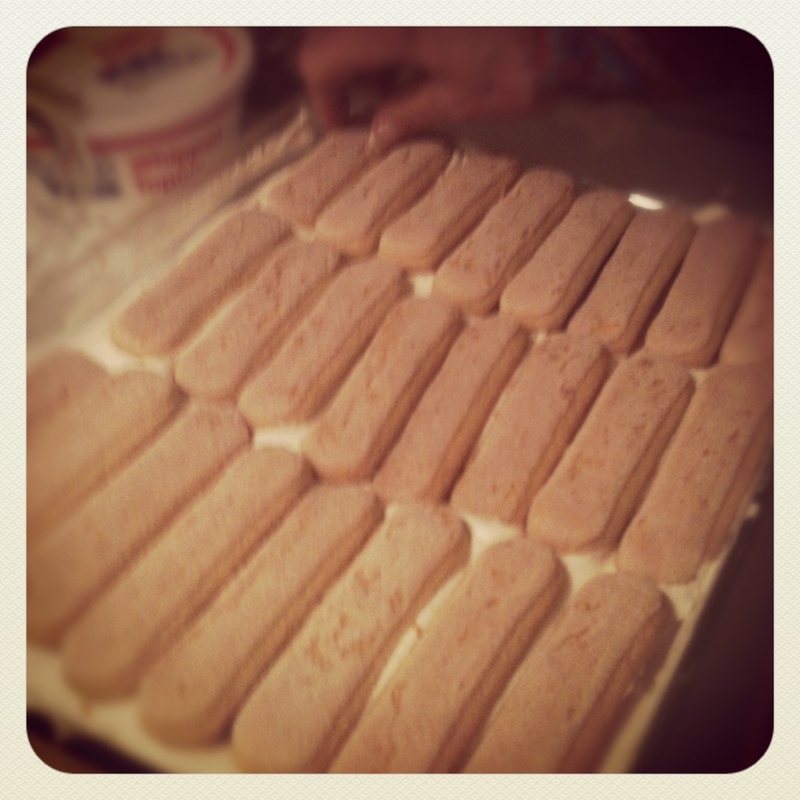 Place another layer of lady fingers on top then add the second 1/2 of the cheesecake mix. Top that with cool whip. Then pour chocolate syrup over it and refrigerate. In a small saucepan, mix 1 cup cocoa powder, 1 cup granulated sugar, 1 cup water, 1/4 teaspoon cinnamon, dash of nutmeg. Whisk to blend and bring to a boil, stirring for three minutes or until beginning to thicken. Remove from heat and add 2 teaspoons vanilla and stir to mix. Cool before pouring on dessert. 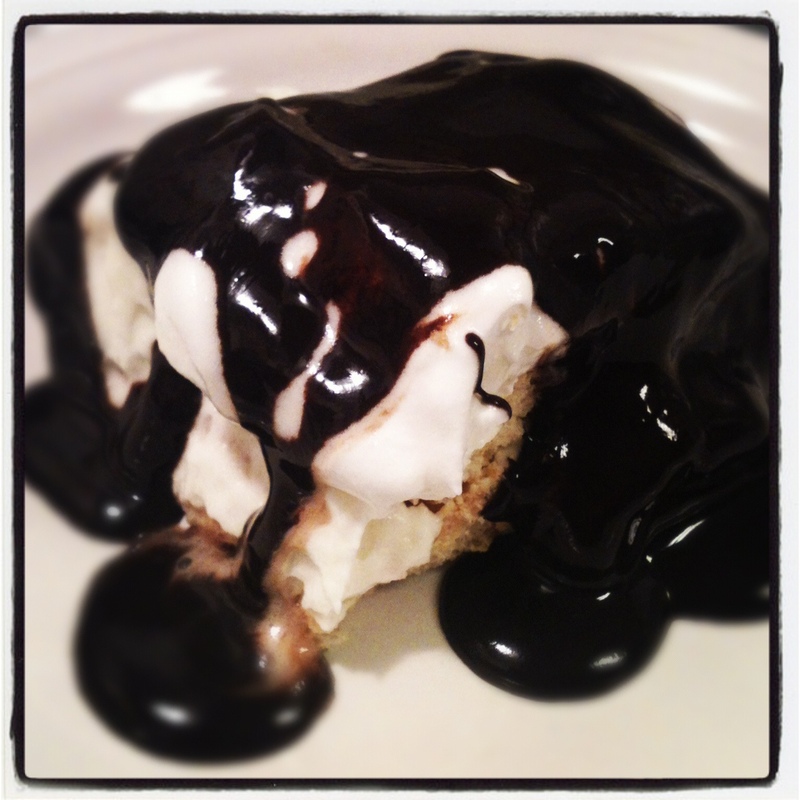 This entry was posted in Pantry Raid, Recipes and tagged cheese cake, chocolate sauce, cocoa powder, cool whip, lady fingers, pantry raid, recipe. Bookmark the permalink. Oh yummy! What a great way to use up some left over ingredients :D. I’m forever an advocate of that!